The Favourite and Roma lead nominations announced today for the 91st Academy Awards with 10 each, including for best picture along with Black Panther, A Star is Born, Bohemian Rhapsody, Vice, BlacKkKlansman and Green Book. Nominees in 24 categories were unveiled this morning in Beverly Hills, Calif.
Alfonso Cuaron's Roma and Yorgos Lanthimos's The Favourite lead nominations announced today for the 91st Academy Awards, scoring 10 nods each, including for best picture. With Roma, Netflix has scored its first best-picture nomination, something the streaming giant had dearly sought. Marvel, too, joined the first-time club, with Black Panther, which became the only superhero movie ever nominated for best picture. Roma is a black-and-white autobiographical drama based on director Alfonso Cuaron's memories of growing up in Mexico City's Roma neighbourhood. The Favourite presents its version of Queen Anne's court in the early 1700s, and the rivarly between her close friend Lady Sarah Churchill and a new servant, Abigail. Spike Lee was nominated for best director for BlacKkKlansman, his first Oscar nod in that category, 30 years after getting a writing nomination for 1989's Do the Right Thing. Notably left out of the director category was Bradley Cooper, whose A Star Is Born landed eight nominations, including for himself for best actor and for Lady Gaga for best actress. The other best-director nominees are Cuaron, Yorgos Lanthimos (The Favourite), Pawel Pawlikowski (Cold War) and Adam McKay (Vice). 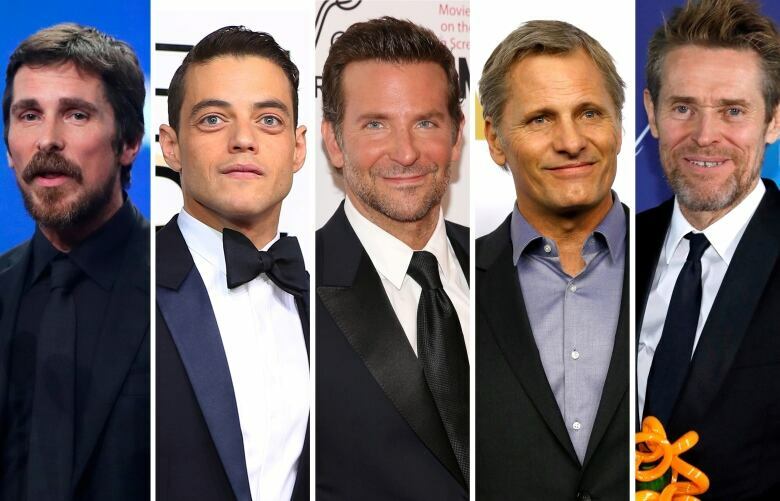 Along with Cooper, best-actor nominees are Christian Bale (Vice), Willem Dafoe (At Eternity's Gate), Rami Malek (Bohemian Rhapsody) and Viggo Mortensen (Green Book). 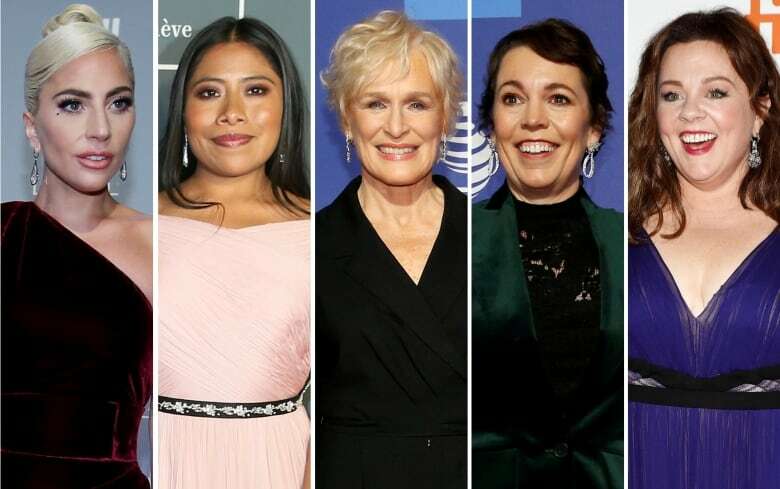 Up for best actress are Yalitza Aparicio (Roma), Glenn Close (The Wife), Lady Gaga (A Star is Born), Olivia Colman (The Favourite) and Melissa McCarthy (Can You Ever Forgive Me?). For Close, it was her seventh acting nod from the Academy of Motion Picture Arts and Sciences. 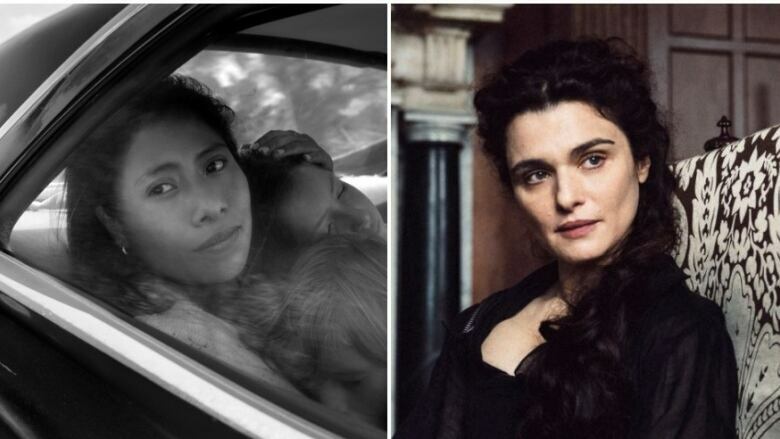 The nominees for best supporting actress are Amy Adams (Vice), Marina De Tavira (Roma), Regina King (If Beale Street Could Talk), Emma Stone (The Favourite) and Rachel Weisz (The Favourite). Tavira's nod is considered somewhat of a surprise, while Claire Foy of First Man was left out. Up for best supporting actor are: Mahershala Ali (Green Book), Adam Driver (BlacKkKlansman), Sam Elliott (A Star Is Born), Richard E. Grant (Can You Ever Forgive Me?) and Sam Rockwell (Vice). Notably snubbed was Timothy Chalamet (Beautiful Boy). The nominations, announced by Kumail Nanjiani and Tracee Ellis Ross from the Samuel Goldwyn Theatre in Beverly Hills, Calif., included plenty of surprises. In a banner year for documentaries, the Fred Rogers documentary Won't You Be My Neighbor was snubbed despite more than $22 million US in ticket sales (a huge sum for a doc). Instead the nominees were Free Solo, Hale County This Morning, This Evening, Minding the Gap, Of Fathers and Sons and the Ruth Bader Ginsberg portrait RBG. Some Oscar regulars were honoured again. Joel and Ethan Coen notched their seventh screenwriting nomination. Paul Schrader, the 72-year-old Taxi Driver scribe, was nominated for his first Oscar for the script to his religious thriller First Reformed. The lead-up to Tuesday's nominations was rocky for both the film academy and some of the contending movies. Shortly after being announced as host, Kevin Hart stepped away over years-old homophobic tweets that the comedian eventually apologized for. That left the Oscars, one month before the Feb. 24 ceremony, without a single host, and it is expected to stay that way. Some film contenders, like Peter Farrelly's Green Book and the Freddie Mercury biopic Bohemian Rhapsody, have suffered backlash, even as their awards tallies have mounted. On Saturday, Green Book won the top award from the Producers Guild, an honour that has been a reliable Oscar barometer. In the 10 years since the Oscars expanded its best-picture ballot, the PGA winner has gone on to win best picture eight times. Will Black Panther roar its way to next year's Oscars? The season's steadiest contender — Cooper's A Star Is Born — looked potentially unbeatable until it got beat. Despite an enviable string of awards and more than $400 million US in worldwide box office, Cooper's lauded remake was almost totally ignored at the Golden Globes. Still, A Star Is Born was the sole film to land top nominations from virtually every guild group. The academy is reportedly planning to go hostless following Hart's exit, something it has tried only once before in an infamous 1989 telecast that featured a lengthy musical number with Rob Lowe and Snow White. The Oscars last year hit a new ratings low, declining 20 per cent and averaging 26.5 million viewers. Though ratings for award shows have generally been dropping, the downturn prompted the academy to revamp this year's telecast. 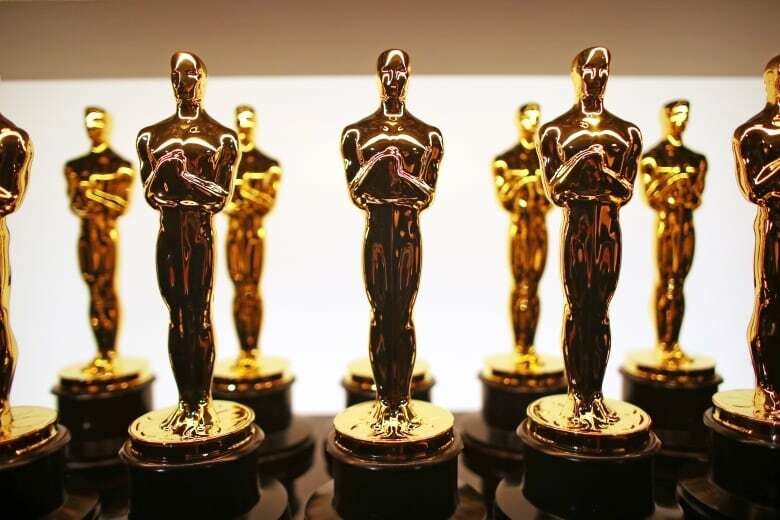 Though initial plans for a new popular film category were scuttled, the academy plans to present some awards off-air and keep the broadcast to three hours. The category for best animated short includes the Pixar production Bao by Toronto-raised Domee Shi. 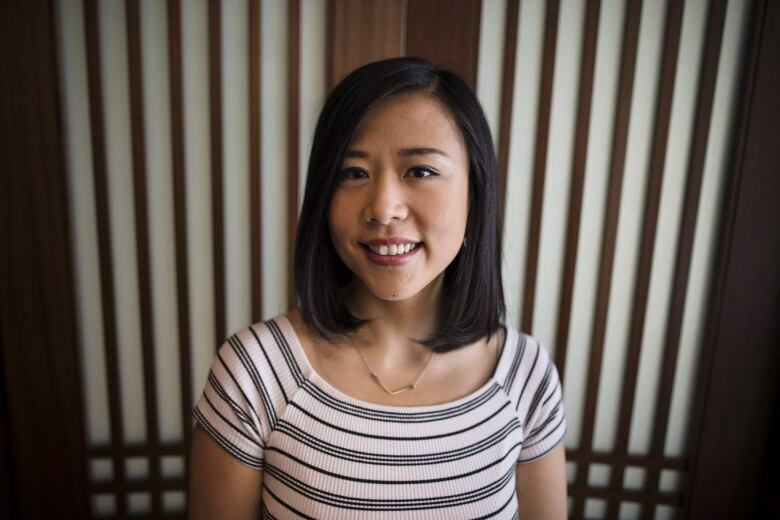 The eight-minute Bao is the story of an older Chinese woman who gets another chance at motherhood when one of her steamed dumplings comes to life. Also on that list is Animal Behaviour by Vancouver's David Fine and Alison Snowden, and Weekends by Canadian-born director Trevor Jimenez. Fine and Snowden are a husband-and-wife filmmaking team who won an Oscar in 1994 for best animated short for Bob's Birthday. The live action short film category has two finalists from Montreal — Jeremy Comte for Fauve and Marianne Farley for Marguerite. Sim won a best-production design Oscar in 2003 for Chicago and was nominated in the category in 2010 for Nine.